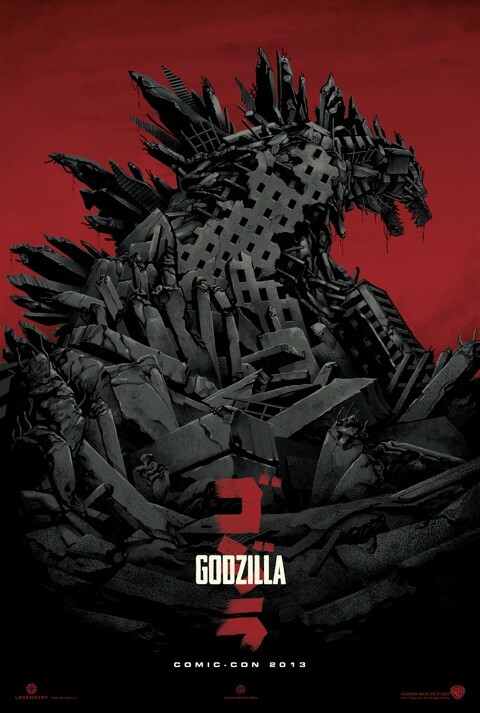 We have a new poster for GODZILLA and another video from director Gareth Edwards on the set!! This Mondo print will be available to purchase exclusively for you lucky bastards who will be attending Comic-Con this weekend. They have also released this video of GODZILLA director Gareth Evans on set, previewing what Legendary has in store for Comic-Con. Here is a link to the website Edwards briefly teased in the video above. I am sure attendees of GODZILLA’s Comic-Con panel are going to get to see some footage and will get the first true look of the new GODZILLA in action. I can only hope that the rest of us don’t have to wait too long to see it as well. Stay tuned for coverage of the Comic-Con panel. GODZILLA destroys his way back into theaters May 16, 2014.